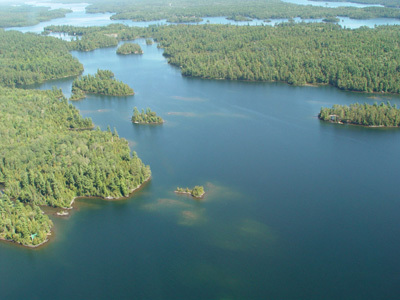 The Water Quality Committee is a community based committee with the Municipality of Temagami working in partnership with a number of community user groups to deal with the issue of water quality in our area lakes. We have been working to bring a comprehensive water quality program to the lakes in our community. We recognize that maintaining our water quality is essential to the health and economic stability of our community. 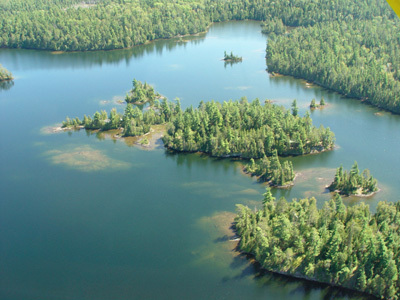 Over the past two years we have used a company called Aquapath Canada Ltd. to map and analyze parts of Lake Temagami and Cassells Lake. The Aquapath system maps and analyses a body of water in three dimensions. This shows what contaminants are in the water, where they enter the water, and how they disperse in the water body. The Aquapath system traces existing pollutant plumes from contaminated surface and groundwater inputs into lakes and rivers. These inputs can include: leaking septic systems, road salt contamination, and seepage from landfill sites and acid mine drainage. The Aquapath system works by towing an array of electronic measuring devices (sensors) through a body of standing water. The sensors measure specific physical and chemical parameters such as conductivity, dissolved oxygen, chloride and many more every 30 seconds. The resulting data set is then transformed into a set of maps which contain contours of one or more of the measured parameters. As we continue to test and lay down baseline data we feel that this system of monitoring will give us a good overall picture of the water quality in our lakes. We hope to develop a good base of information for the high-use lakes in the area and with this, be able to maintain if not improve our already excellent water quality.